Phantom 5 studios is an independent developer studio. 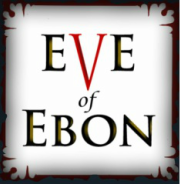 Our sole existence is to bring the game Eve of Ebon to life. Every ounce is dedicated to this project. Keep it simple, but effective. Story, characters, and fast, fun coop gameplay are the elements we believe are key. Designing a game that is pick up and play friendly, but naturally evolves into something deeper as you progress is the foundation our experience is built on.